Are You Really Serious About Starting Your Own Mobile Business? Sometimes I wish it was as simple as just chucking an oven on a trailer or in a van and taking it round the country. Back in 1999 that’s how I started. But I’ve paid my dues, perfected my ovens, worked out all the short cuts and now I want to help you. Like in any business, having insider information is the short cut to being successful and that’s where I come in. But I also have to be honest with you. Not everyone can afford my help or my ovens. I’m not trying to be big headed or to put you off but let’s get real here. I help and advise businesses form new start-ups right up to multi million pound brands. And I have helped them all to start from scratch. I have customers who have turned over tens of thousands of pounds in their first year to companies that are turning over £250k in year three. It’s also true to say that I’m selective about whom I take on and not everyone who comes to see me ends up becoming a customer. If I can’t see it working for you then you don’t get the Bushman seal of approval and I’m not going to sell you one of my ovens. But if you do get to buy one of my ovens you’ll join an elite group. We have over 90 % success rate for new business start-ups which kind of blows normal start up statistics out of the water. It’s not very often at all that you will see one of my ovens up for resale as the customers who follow the pizza making and selling system that I teach have proven it to be so successful. Don’t get me wrong there is nothing stopping you from using a competitor’s oven or trying to work it all out yourself. But you’ll find it a harder road to take, fraught with many obstacles. Setting up a new business is hard enough. 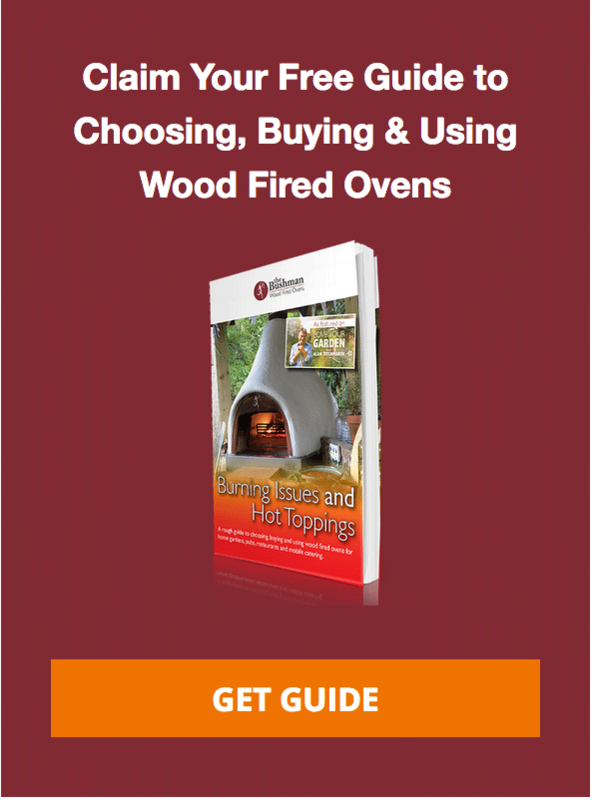 Choosing a Bushman wood fired oven just makes it easier. So is there a catch? You bet there is. I don’t sell my ovens without meeting you first. We do this at one of our free two hour discovery sessions here in Kidderminster. If you tell me that’s too far to travel to, then we’ll say goodbye now. I’ve had people drive over from Munich and back for that two hour meeting. I regularly have people fly over from Ireland to come and see me and I’ve had a couple come from Australia. It doesn’t matter how busy you are or how far away you live, the two hour discovery session is a must. You will learn more about selling pizza than you could experience in six months on your own. And by the end of the session you will know without doubt if this is the right path for you. Only then can we quote based on your exact requirements. But I expect you’d like to know the sort of figures we are talking about before you sign up? Well to be honest it’s going to cost more than you expect but less than you should pay. Think of it in terms of business start-up costs. If you don’t have the money to start the business properly then you are setting yourself up to fail. And I promise you faithfully that getting a cheap oven is only going to make it worse for you. So let’s talk numbers. There are basically five mobile business opportunities out there. Each one has an entry level price but those costs can rise depending on the extras you want to put in. By the way, each of those five models has basically the same earning potential. I’ll point out the reasons for this when we meet. So if you are ready to start your mobile wood fired catering adventure and you want to get it right then book onto your discovery consultation now. 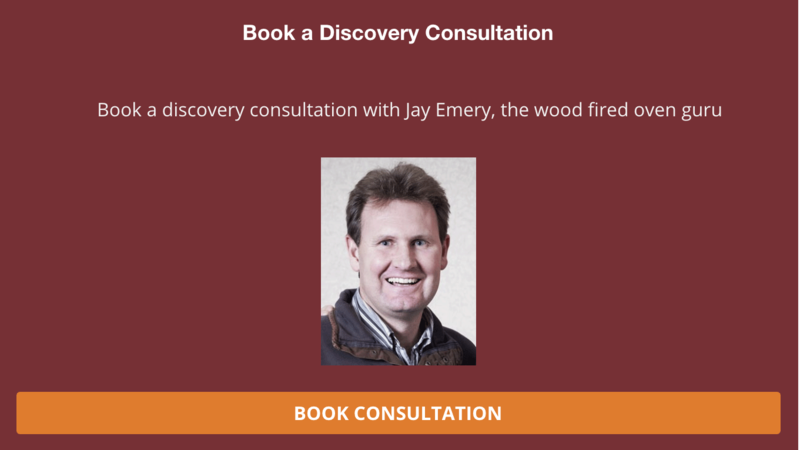 I began to work with Jay very early in the concept stage of Woodbox and his input in those early stages was invaluable, both in the shaping of the concept, and the design of our vehicle. We're over the moon with the oven he built for us & it has been a huge success and we feel totally confident with it's performance.